As many others; I started out building modules from many manufacturers, but soon found out that Oakley modules were the best; good PCBs, great docs, and fantastic support, but most of all superb modules that are useful, stable and continue to work day after day, even in demanding situations like outdoor concert in various venues. Originally I started building with a mixture of 5U and 3U size, using small jacks (1/8). After some time I wished I could start over with only Oakley modules, but that would be too expensive, so I slowly changed my main modular into only 5U size front panels and only 1/4 jacks. Oakley	Noise/Filter iss. 1 - in a non-standard silk-screened front panel. Oakley	LFOs - 3 x Oakley Little LFO iss. 2 in one panel. I could not decide if I wanted switches for times or LED indicators in the available space, so I installed switches with dual LEDs in the switch. Very useful, but really expensive parts. Oakley/DIY	VCA - three old Basic VCAs iss. 1 in one panel. I only had two originals, so the third one is made on veroboard. Custom/DIY	Buffers/distributors - two sets of buffers, mainly for pitch and gates. 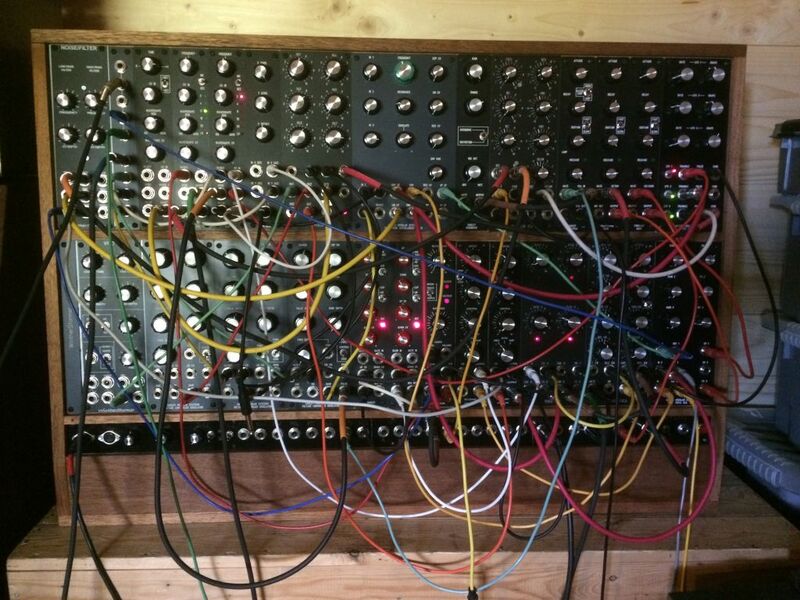 Internally patched from the MIDI-Dac. Uses high-quality precision opamps and multiturn trimmers for precision. All front panels are aluminium metal, from various sources and different generations. 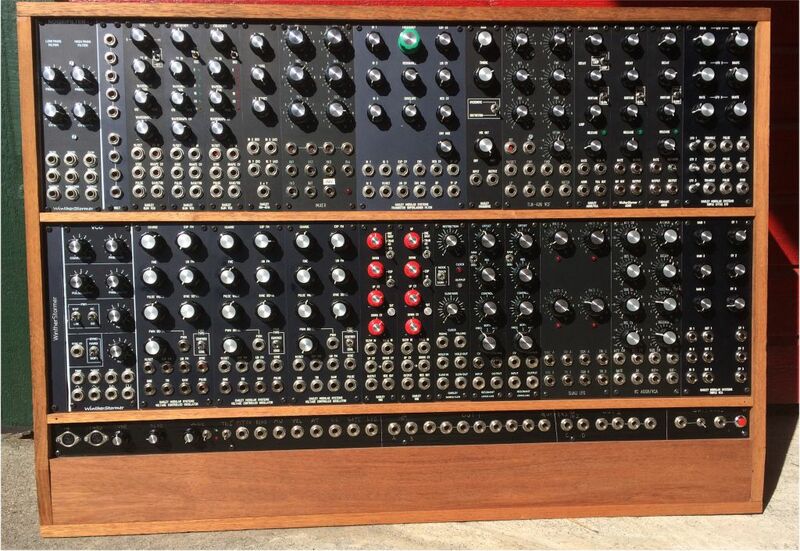 There are various types of knobs, as you can see, although mostly «moog-like» knobs. The different sizes doesn´t bother me, but I might change some knobs in the future. All in all - a perfect and complete «Berlin school dream machine» to go. 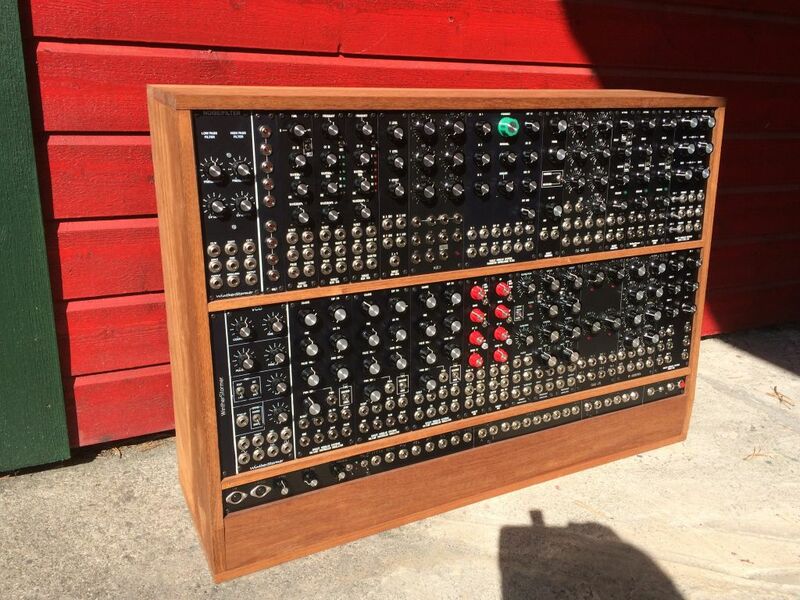 I even have a custom-made large wooden flightcase for it that has been with me for years now. If there are any questions, I´d be happy to answer. Nice work there Terje. And almost a history of Oakley Modular in one box. I now feel my Oakley system deserves a single red knob knowing I am not alone. I was talked out of it. It was to be my homage to Spielberg film Schindlers List and the little girl in red.